The debut Camaro shared some mechanical parts with the 1968 Chevy II Nova. Almost 80 factory and 40 dealer options, including three main packages, were available. The RS was an appearance package that included hidden headlights, revised taillights, RS badges, and exterior rocker trim. It was available on all models. The SS included a 350 cu in (5.7 L) V8 engine and the L35 and L78 396 cu in (6.5 L) big-block V8’s were also available. The SS featured non-functional air inlets on the hood, special striping and SS badges on the grille, front fenders, gas cap, and horn button. It was possible to order both the SS and RS to receive a Camaro RS/SS. In 1967, a Camaro RS/SS convertible with a 396 engine paced the Indianapolis 500 race. 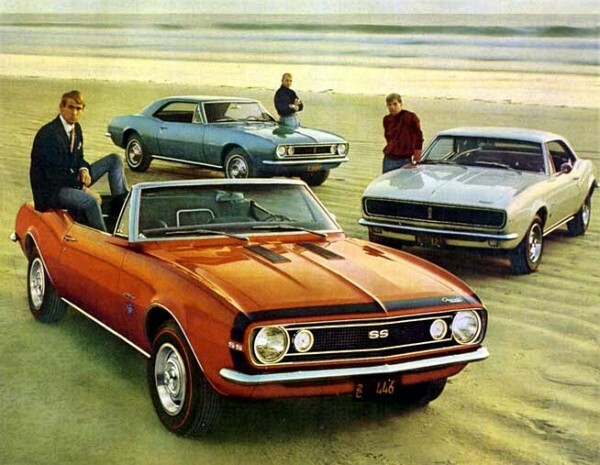 The Z/28 option code was introduced in December 1966 for the 1967 model year. This option package wasn’t mentioned in any sales literature, so it was unknown to most buyers. The Z/28 option required power front disc brakes and a Muncie 4-speed manual transmission. The Z/28 featured a 302 cu in (4.9 L) small-block V-8 engine, 3″ crankshaft with 4″ bore, an aluminum intake manifold, and a 4-barrel vacuum secondary Holly carburetor of 780CFM. The engine was designed specifically to race in the Trans Am series (which required engines smaller than 305 cu in (5 L) and public availability of the car. Advertised power of this engine was listed at 290 hp. This is an under-rated figure. 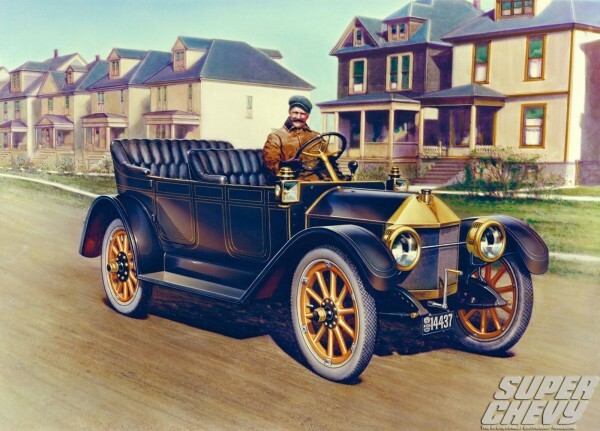 Chevrolet wanted to keep the horsepower rating at less than 1hp per cubic inch, for various reasons (e.g. insurance and racing classes). The factory rating of 290 hp occurred at 5300 rpm, while actual peak for the high-revving 302 was closer to 360 hp (268 kW) (with the single four barrel carb) and 400 hp (298 kW) (with optional dual-four barrel carbs) at 6800-7000 rpm. The Z/28 also came with upgraded suspension, racing stripes on the hood, and ‘Z/28’ emblems for the fenders (in 68 & 69). It was also possible to combine the Z/28 package with the RS package. Only 602 Z/28s were sold in 1967. The 1967 and 1968 Z/28s did not have raised cowl induction hoods as was optional on the 1969 Z/28s. The 1967 Z28 received air from an open element air cleaner or from an optional cowl plenum duct attached to the side of the air cleaner that ran to the firewall and got air from the cowl vents. 15-inch rally wheels, were included with Z/28s had while all other 1967-9 Camaros had 14-inch wheels. The origin of the Z/28 nameplate came from the RPO codes – RPO Z27 was for the Super Sport package, and RPO Z28, at the time, was the code for a Special Performance Package. The Camaro’s standard drive train was a 230 cu in (3.8 L) straight-6 engine rated at 140 hp (104 kW) and backed by a Saginaw three-speed manual transmission. A four-speed manual was also available. The two-speed “Powerglide”automatic transmission was a popular option in 1967 and 1968 until the three-speed “Turbo Hydra-Matic 350” replaced it starting in 1969. The larger Turbo 400 three-speed was an option on L35 SS396 cars.